Three days ago marked the final day in my weight loss challenge versus Paul Piotrowski. It ran for 10 weeks and pitted me up against Paul Piotrowski. The contest was that if either of us didn’t meet and maintain our weight loss quota on May 21st, 2010 at 10PM Pacific Time, we would have to pay the other person $600 out of our own fat pocket. Our “weight loss quota” for the competition was that I had to lose 12 pounds and Paul had to lose 13 pounds at the final weigh-in. This worked out to 6% for each of our body weight, in order to make it fair. With a $600 penalty and a possible $600 reward on the line, both Paul and I were very competitive and took this contest very seriously. Paul posted his final weigh-in report in a detailed report complete with video and charts and graphs. With a starting weight of 212lbs, he ended up weighing in at 197lbs which means that he lost a total of 15lbs during the challenge. That’s 7% of his body weight! I was surprised that Paul made the challenge as halfway through the challenge he had only lost 1 or 2 pounds, and so I had thought I had the $600 penalty prize in the bag. But I know how difficult it is to lose weight so since he made the challenge I can only congratulate him. 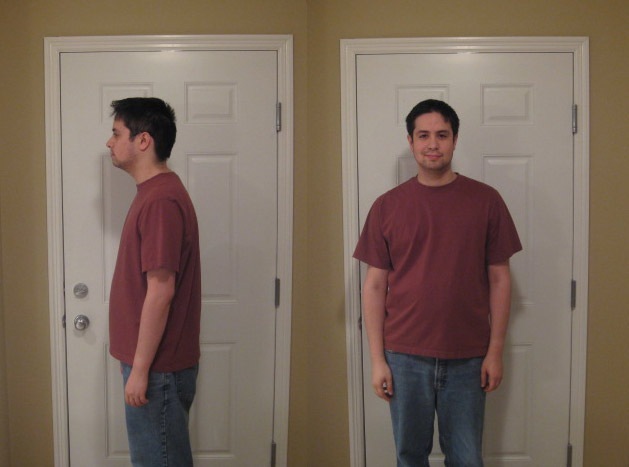 You can view his before and after photos on his post. You can most definitely see a reduction in his belly based on his side portrait. For only 10 weeks that is actually very impressive. The main reason I chose Paul to run this competition with is that I knew he would step up to the plate and work hard. Paul, like me, is extremely competitive and goal-oriented. Choosing such a competitive opponent may seem counter-productive to winning $600, but the fact is that it only motivates me to work harder and beat him. Throughout the challenge we would do a lot of little things to piss each other off. For example, I would often SMS him photos of me running around Westwood Lake or text him about my new time or distance records, and he wouldn’t be shy to gloat in losing 1.4 pounds in a day. Competition is a very powerful tool to harness if used correctly. Another New Westwood Lake Time Record! On May 18th, with only 3 days left in the challenge, I knew I had to really start pushing hard if I was going to make the challenge. Unfortunately for me, it decided to rain that day. I didn’t want to go in the rain, but my options were to either run in the rain or not run at all, so I didn’t really have a choice. I started off well, jogging a good portion, and then continued to jog every chance I could throughout the rest of the lake. I still walked the large majority of it, but constantly tried to walk as fast as I could. For about 1.5 KM I even “power walked”, swinging my arms in a goofy fashion (just because I thought the extra motion would help me lose more weight). I think that the cadence of my swinging arms actually helped me stay in a more even rhythm to my music and therefore helped me walk faster. Despite the weather being so miserable, there was a surprising number of people on the trail. I ended up having to jog past a bunch of them in areas where I normally didn’t jog, which also helped me time. In the end, I finished in 52:39 which is exactly 1 minute and 30 seconds faster than my previous best time! What an improvement! I was so surprised I finished that well – I knew I was doing well and might set a new record, but not by that much. When you consider that my best time around Westwood Lake last year was 57:55, finishing in at 52:39 really shows how much faster my time has improved. Believe it or not, but on May 18th, with only 3 days left in the challenge, I weighed 195 at that point which meant that I had less than 72 hours to lose 6 pounds. Think about that for a second. Just under 3 days to lose 6 pounds. The rules stated that starving and sweating yourself were out of the question, so I couldn’t just simply not eat. 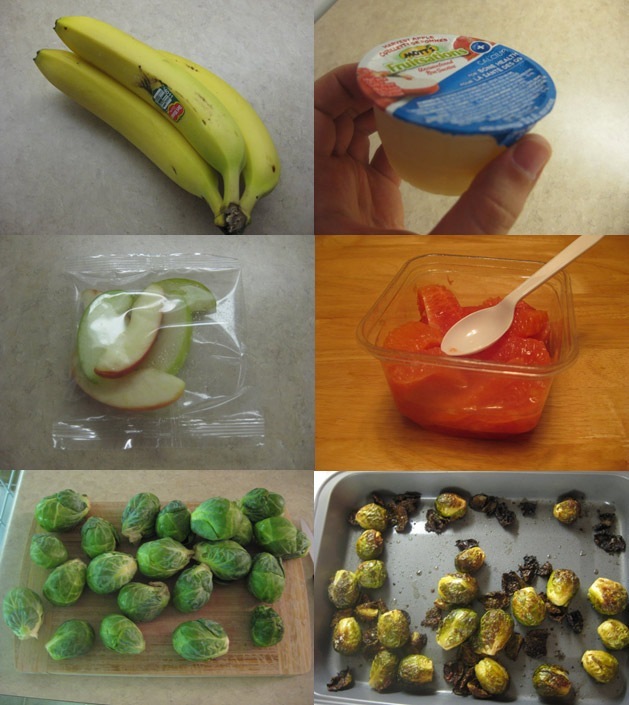 But I did the the next best thing: starting around dinner time with 2 and a half days left, I decided to go on a very strict fruit, vegetable, and water diet. I wouldn’t even allow myself to eat a salad with dressing – just pure fruits and vegetables. The only thing I did do was add a bit of extra virgin olive oil and salt when I made roasted Brussels sprouts. This may sound melodramatic, but by the end of the challenge I felt so incredibly weak and starving. My body was just not used to going on such a low calorie diet, even if only for around 70 hours. I actually don’t think it’s healthy or natural for people to only eat fruits and vegetables. But to lose weight for the final stretch, I knew I had to do it. On the morning of the final day (final weigh-in was 10pm), I weighed in at 190lbs, meaning I had lost 4-5 pounds during the past 48 hours, but still had 1 more pound to go. I was actually very confident that I would lose that pound just by sitting around and continuing with my diet, but as the clock ticked by and I kept weighing in at 190, I knew I couldn’t take the chance of losing the challenge by only 0.5 – 1 pound. That’d be one bad $600 mistake. So even though I felt incredibly weak and tired, I forced myself to go out and do Westwood Lake one final time. When I got there, I fully intended to set a new distance record by doing 16KM. I knew that I wouldn’t be able to set a new time record, but could possibly toughen it out to do a new distance record. Unfortunately, I was just way too weak to do that. I did my usual one lap around (6KM) and had to stop. My time was incredibly slow too, which just shows how weak I really was. Walking (rather slowly I might add) the whole way, I finished in at 1:07:02 – a full 15 minutes slower than my previous time. But efforts didn’t go unrewarded. Just by casually walking the trail, I lost another 3-4 pounds, weighing in at between 186 and 187. It seems almost impossible to lose 3-4 pounds by only walking 6KM, but that’s what happened so I don’t know what to tell you. Since the final weigh-in time was 10PM, I still had to wait about 11 hours, which absolutely sucked. Especially since I had only gotten 3 hours of sleep the night before and woke up around 3AM. After eating, I ended up weighing in at a final 187 lbs! On March 11th, I weighed 204 pounds, which means that I lost a total of 17 pounds in 10 weeks! That’s over 8 percent of my body weight! What do you think? I personally think there’s hardly any difference between them, haha. But I can see a very slight change. It’s weird though because you’d think that losing 8% of your body weight would have a more visible effect. I won’t be living off this stuff, but I do need to fulfill my cravings. 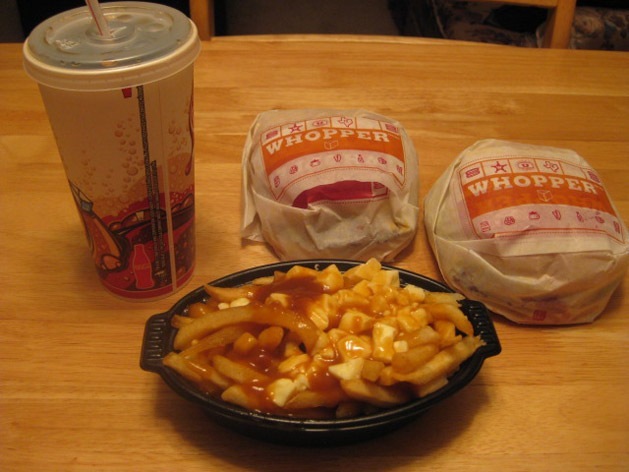 For those curious, even though I felt like I was starved half to death by the end of the challenge, I only ended up eating the poutine and half a Whopper as that filled me up plenty. The next day I went out and ate a small pizza at Boston Pizza, and last night after badminton I ate a sub from Subway. Soon my cravings will be fulfilled and I can get them out of my system, so it’s not like I’ll be eating like this everyday. But for now it’s chow time. May 18th, 2010 52:39 6 KM New Record! Pushed hard. Surprised myself. May 22nd, 2010 1:07:02 6 KM Final day while malnourished from veggie diet. While I didn’t end up winning $600 from Paul since he made the challenge as well, I did make $25 in a side bet with Wesley – one of my blog commenters. I would have made another $25 from Lee Ka Hoong but I didn’t go ahead with the bet because I wasn’t so sure I was going to make it at that point. While I’m positive that I’ll regain a good portion of my lost weight by this time next year, my hope is that I can keep half of it off. Then I can do another weight challenge next year and up the antes once again. Now that this challenge is over, I have another heads-up challenge between me and Paul brewing. This time it’s strictly “make money online” related and I’m sure all of you will love it. It has nothing to do with affiliate marketing either. Stay tuned, as it will be launched very soon. Congrats on hitting your target Tyler. I thought you were going to eat that whopper in the car listening to that music. I wonder if that girl from BK will stumble onto your blog and see herself doing drive-thru. How much do you weigh now after eating all that food? Congrats, Mr. Thin Man! The Before/After piccies were really quite telling! And I would haf eaten a lot more than whut you did after your diet. Like maybe that new KFC all chickun sandwich. Eeek! Can see a big change when comparing those photos, but not only weight wise, you actually look a lot healthier in to second set of pics. Well done! What’s poutine? It looks disgusting. Does it have baby birds in it? Go for another 10 pounds instead of packing it back on. @SunFrog, I had to Google that myself, since they don’t have it here in the states, but to me it doesn’t look all that bad. Putine is french fries with cheese curds and gravy, and it is delicious! I am quite surprised by that too. Whenever I go down to the US I am amazed by the high number of huge people. I guess they get big from buffets and greasy burgers. Poutine is rather tasty, but it’s one food I try to avoid. I definitely wouldn’t have one right after spending weeks trying to lose weight. That just rolls back any progress you made. 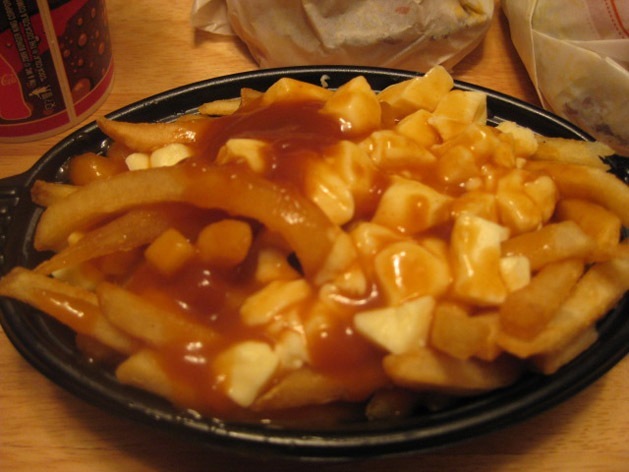 Yeah, I wonder how people can get fat without indulging in a daily cup of poutine. It’s a real mystery. I sense a bit of sarcasm there. 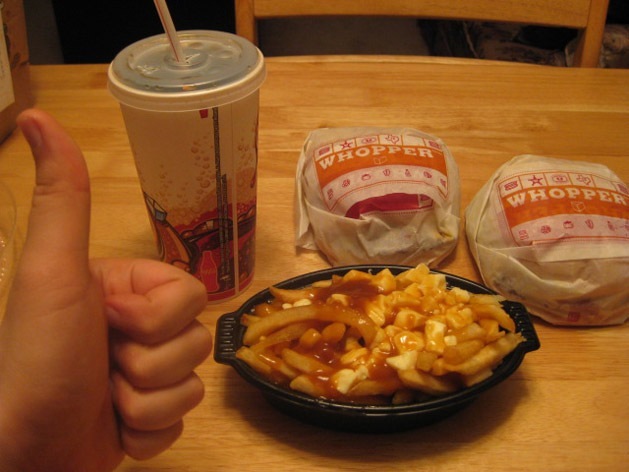 I wasn’t saying people don’t get big without poutine, but Americans are known for their gready fast food. So I just assumed that included poutine. Mhhh, have you ever felt that you’ve been conned? I think next time you run this competition that you need to have a rule that you must maintain the weight loss for a week, after the last weigh in date. You were bound to lose weight by eating nothing but fruit for a few days, but you’ve not really lost the weight if you can’t maintain it; and eating all that junk food is bound to negate the ‘crash weight loss effect’ of just eating the veggies. agreed. there werent enough rules, because if you can VERY temporarily lose 7 pounds by starving yourself, its not really weight loss. congrats to paul for doing it the right way. I would have to agree. While you didn’t completely starve yourself, eating only fruit and vegetables to the point of feeling weak is basically the same as starving yourself. Then on your last ditch effort run on the final day, you were likely mostly losing weight through sweating. With strategies like that you obviously won’t keep the weight off. If I were Paul I would be feeling quite ripped off. I had a lot of fun competing against him, and we both followed the rules of the competition. There were no rules against eating fruits and vegetables, nor any rules for running/sweating. Perhaps next time we’ll add in a rule that you have to keep the weight off for a week straight or something like that, but for this competition it was just all about hitting your target weight on a specific day, by a specific time, just like UFC fighters do etc. Sorry but I would take the $600 over watching Tyler eat fruit and vegetables. With the way he binged on the worst possible food after, I would think that would balance out any satisfaction you got. It made me not want poutine for a long time anyway. Great news Tyler. Congrats to you and to Paul as well. Obviously, you are both winners in the area of self-determination as well as the actual tale of the scale. Best of luck in keeping it off, and thanks for having us along for the ride. Congratulations Tyler!!! When I first started reading this blog I start assuming that you lost. But you didn’t. I think you should look at your before and after photos again. Because I see your weight lost in your Face and your Behind. Thanks for sharing. Darn, I didn’t think you would go through such drastic measures to win the challenge! Oh well, good to see you both made it. What’s your paypal email address so that I can send you the money? I e-mailed it to you, but maybe you didn’t get it. 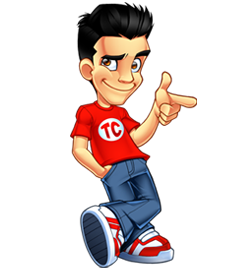 Anyway, it’s tylercruz@gmail.com, thanks. Back to your old self again, I guess. I’m glad to witness most of this challenge and learning a lot from what you shared. I also like the funny side notes you included here. But that’s a great and interesting challenge Tyler, at least we could see that your stomach is smaller than before now, a good sign for both of you! Can’t wait to see the “make money online” related challenge, that must be having a lot of fun! Nice way to go! I would have gone strait for the cheeseburger! Its great that both of you surpassed your goal too. Great job, I can’t believe you managed to pull it off in time. Now I know the fastest way to lose weight; Don’t eat anything. Ha! Congrats on the weight loss Tyler, but man what a rough way to do it. I recommended earlier that you buy the book “The Abs Diet” by the editor of Men’s Health magazine. It’s worth the $10 investment in your health. Not only is there a ton of great information about proper nutrition but it also illustrates a whole catalog of exercise you can do at home or at the gym. If you are serious about your health, I highly recommend it. Also, even though running and walking are great exercise your body quickly adjusts to exercise routines which is why you probably weren’t seeing the results you wanted. To fix that, look into High Intensity Interval Training. Just google HIIT. It’s how the Pro’s keep fit year long. Tyler you are still with that challenge. Now its over mate … lets get back to the business. #2. 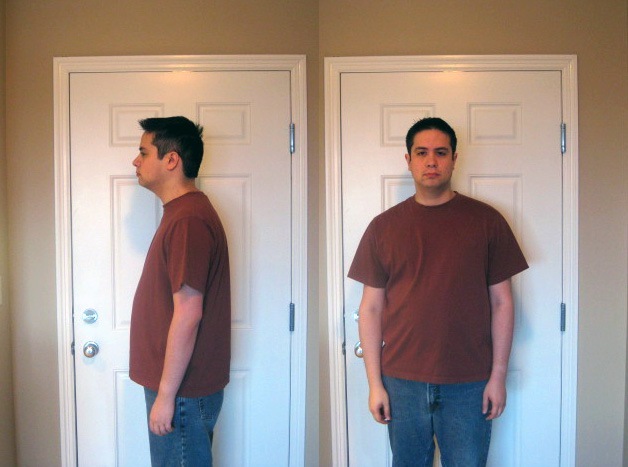 Stand Up Straight in your photos! Shoulders back. #3. What the heck is that white stuff on your fries? Congrats on accomplishing your goal. Too bad you couldn’t win the extra $600 though. That would have been nice! Congrats to you tyler. The challenge is over but the real journey to a healthier body has just began. lol, you earned the meal… enjoy it, and several others. Can see a big change when comparing those photos, but not only weight wise, you actually look a lot healthier in to second set of pics. You did manage to lose some weight.LOL.Congrats ! Great – and I should say hard – challenge for you. As you know, lots of people really want to lose that much weight in that period of time, but most of them end up gaining some pounds! So, keep up the good work man!